What Is The Best Way To Store Wood Chips? Discussion in 'Oud Wood' started by Woodland Note, Aug 19, 2018. ... and how you are storing your raw agarwood and sandalwood chips? There has been lots of discussion about storing oils. However, unless I overlooked it, not much about storing raw wood. I read somewhere that someone was using a freezer/refrigerator as a storage for his big chunk of sandalwood. What are the best storage conditions? And for how long precious oils can be preserved in a raw piece of wood. What has an impact on how well/intact are oils in a wood chip? Temperature? The size of chips? Humidity? What do you think about an idea of storing it in a vacuum container? Chip Burns, alcolado glacial and jalil like this. One would think that storing wood in a sealed glass jar or vacuum container, then store in a cool dry place would suffice. Maybe in a Paulownia box also. However, since I recently went through all my chips, I believe that some of them experienced degradation of scent. I don’t know if it is the type of region, or if it is the age of the chip when harvested (oil to resin ratio), or even if it was plantation versus wild. If certain chips won’t age well, then they should be used sooner and not stored for very long. I had a couple of batches of Borneo chips that lost some aroma, but my findings aren’t conclusive because overall, I did not test most of my chips many years ago, to compare them to how they smell now. Chip Burns, alcolado glacial, jalil and 1 other person like this. ooh that's a good question, I didn't even think of how I'm storing them. All my wood is still in the plastic baggies they came in and have been kept inside a box that Royal Bengal Ouds sent my order in! Chip Burns and Woodland Note like this. A small upadate. Who seeks shall find. I have found an interesting article on kyarazen site. Herakleia, Chip Burns, Ashfaque and 1 other person like this. What about storing it in plastic containers and with silica baggies to keep moisture out? In some areas, moisture is not the problem, the dry climate is the concern. But if anyone chooses to use silica....make sure it’s food grade, the packets you’ll find in non food items are a type of silica which gives off cobalt gas which in turn is not safe. PS: I live in Kuwait so the temperature can get to 50 degrees and more but surely the chips are in a controlled climate, would that still be an issue? A box in a drawer is ample insulation and is away from light, for short term storage that’s fine. But if moisture is a concern, or the wood is relatively fresh from harvest, I would open the sealed container occasionally to make sure it stabilizes. I've prepared recently a new storage solution for my agarwood wood, sandalwood and oud oil vials. 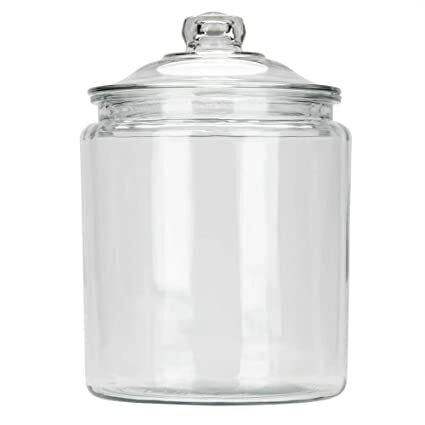 I bought a large (3.5L) glass jar with a full glass lid. Certain food grade silica gel should be ok, I suppose, but some other might be not ok. For an example the one used as cat litter will swallow the scent molecules too. Perhaps some molecular sieves designed for H2O only would be a better choice, but I don't know.